To qualify as a gym or fitness instructor you will either need to complete a nationally recognised qualification or you may choose to find a job as an assistant instructor and then complete work-based qualifications alongside doing your job. There are only two qualifications which you should consider if you’re looking to become a gym instructor via this route. They are the Certificate in Fitness Instructing to level 2 which is awarded by Active IQ, City & Guilds, CYQ and VTCT. Alternatively, you could take an OCR level 2 Certificate in Teaching Exercise and Fitness. Both of these qualifications are approved by the Register of Exercise Professionals (REPs).They are the most recognised and have become the preferred industry standard. 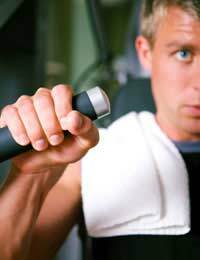 Once you’ve obtained either of these qualifications, you will be able to look for work as a Gym or Fitness Instructor to focus on gym, group based or water-based exercise and you will also be entered onto the Register of Exercise Professionals which demonstrates that you hold a relevant qualification and are fully competent to do the job. In addition to this, you’ll also need to obtain a first-aid certificate, which includes CPR as well needing to take out public liability insurance. For some jobs, you might also need to obtain a lifeguard qualification and, if you’re going to be working with children, you’ll also need to get Criminal Records Bureau (CRB) clearance. If you’ve been able to obtain employment as an Assistant Instructor, you can work towards gaining full qualified instructor status whilst you learn on the job under the supervision of a qualified instructor. To do this, you’d be looking to combine work with obtaining an NVQ level 2 in Instructing Exercise and Fitness which is awarded by Active IQ, City & Guilds, CYQ and Edexcel. Upon successful completion, you’d then be eligible to be entered into the Register of Exercise Professionals at level 2. In some areas of the country, you might be able to follow this route through an apprenticeship. Further qualifications to both level 3 and 4 are available from either one or more of the awarding bodies mentioned previously. Level 3 qualifications enable you to also undertake further training units in working with children or older people, GP referrals, the disabled and also both pre- and post-natal women. Whatever level you’re qualified to, that will be indicated in the Register of Exercise Professionals. However, you would need to have both experience and be qualified already before you could progress to level 4.
im currently in the armed forces but leaving due to redundency where is the best place to get these qualifications and what courses should i take. also what is the average cost?